CostSaver celebrated the Easter holiday season with its new 2018 Travel with Faith specialty program offering spiritually meaningful and faith-based immersive experiences. Each of the six pilgrimage experiences, starting at $111 per day, are specifically designed to provide a deeper and enriching understanding of these spiritual communities and the depth of each religious custom and tradition. Spiritual seekers will enjoy the memorable 12-day CostSaver regional pilgrimage to Spain, France and Portugal. Clients begin their journey in Barcelona where a Local Specialist will show them the iconic sights, including a visit to Gaudi’s Sagrada Familia. Onwards to the Sanctuary of Lourdes, they will visit the Grotto of Apparitions, the site of extraordinary events where the Blessed Virgin Mary appeared in 1858 to a local young woman, Bernadette Soubirious. Pilgrims can drink the healing water flowing from the grotto’s spring and view the beloved statue of Our Lady of Lourdes. The grotto is known to be a place for prayer, peace and unity. Clients can also join the nightly Marian torchlight procession. The spiritual journey continues by following part of the route taken by pilgrims on the famous Camino de Santiago, also known by the English name the ‘Way of St. James.’ These devotees’ intention is to walk to the shrine, in the Cathedral of Santiago de Compostela. Guests will explore the city with a Local Specialist including a visit to St. James Cathedral and attend the Pilgrim’s Mass. A picturesque drive through the Serra d’Aire Mountains brings guests to the Shrine of Fátima, celebrating the apparitions of the Virgin Mary to the three little shepherds – Francisco, Jacinta and Lucia, which took place on May 13, 1917. 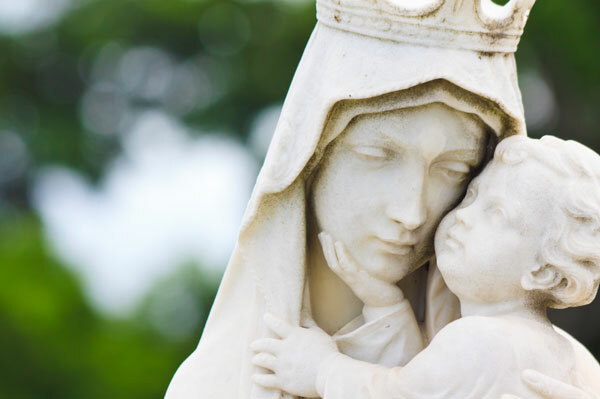 Clients will be given free time the next morning to experience Mass at the shrine, view the tombs of the visionaries and the Chapel of the Apparitions. Clients will embark on this 12-day CostSaver regional journey in Greece and trace the footsteps of the Apostle Paul where they will begin their pilgrimage in Athens before they set off to a full day excursion to Kavala, a significant archeological site near Krinides, where St. Paul and St. Silas were imprisoned after St. Paul’s first sermon. The journey continues to Thessalonkini with a Local Specialist and includes a visit to St. Demitrius Basilica where St. Paul was buried. Guests will enjoy the scenic drive through valleys to Kalambaka and Meteora. They will visit two of the remarkable monasteries at Meteora, perched on enormous rocks above the town. Onwards to the acclaimed archeological site of Delphi, located on the slope of the Holy Mountain of Parnassos. Clients will visit the Temple of Apollo, museum and the Theatre. Spiritual seekers will enjoy a visit to Corinth where St. Paul preached the New Testament to the Corinthians. Guests will continue their journey by embarking on a cruise to Mykonos and sail to Kusadasi, Turkey with an excursion to Ephesus and the House of the Virgin Mary.